With the benign Blessings of His Holiness Pujyashri Jayendra Saraswathi Shankaracharya Swamiji, Rig Veda Moola Parayanam that commenced on 4th May 2014 at His Holiness' Camp in Bangalore concluded on 10 May 2014 in the presence of His Holiness Pujyashri Shankara Vijayendra Saraswathi Shankaracharya Swamiji. 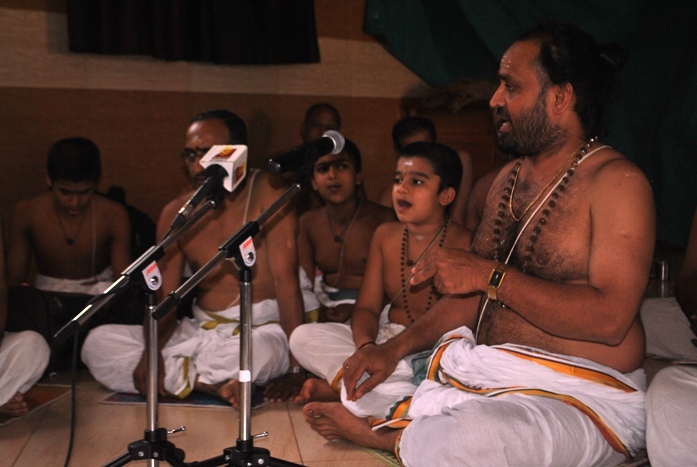 The Rig Veda Scholars, including three young ones, recited Rig Veda Mantras. As directed by His Holiness, the group led by Senior Vidwan expounded the different ways of chanting the Vedas called Vikruti Patha - Samhita, Kramam, Ghanam, Jata, Mala, Shika, Rekha, Dwaja, Ratha. Sambhavana was distributed to the Vidwans. 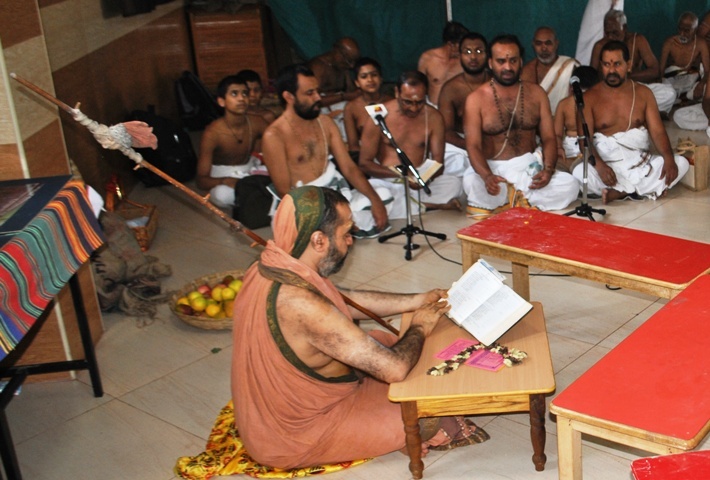 Yajur Veda Parayanam has been commenced on 11 May 2014.